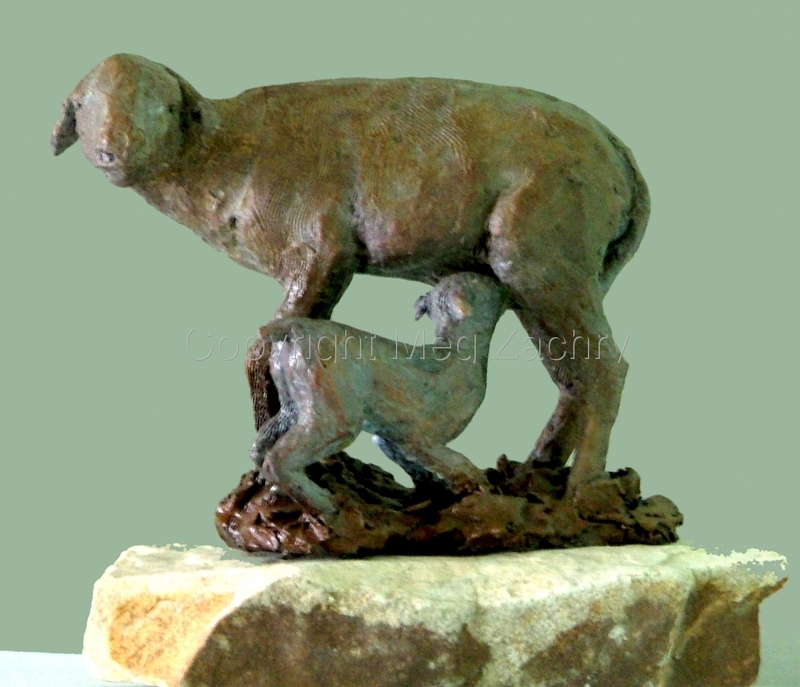 One of a kind (no mold) bronze sculpture of a mother sheep and her newborn baby. This sculpture was inspired by a moment I actually witnessed in a field where a baby had been born late in the year, toward autumn. The sculpture is 6"x6"x4" on it's stone base.